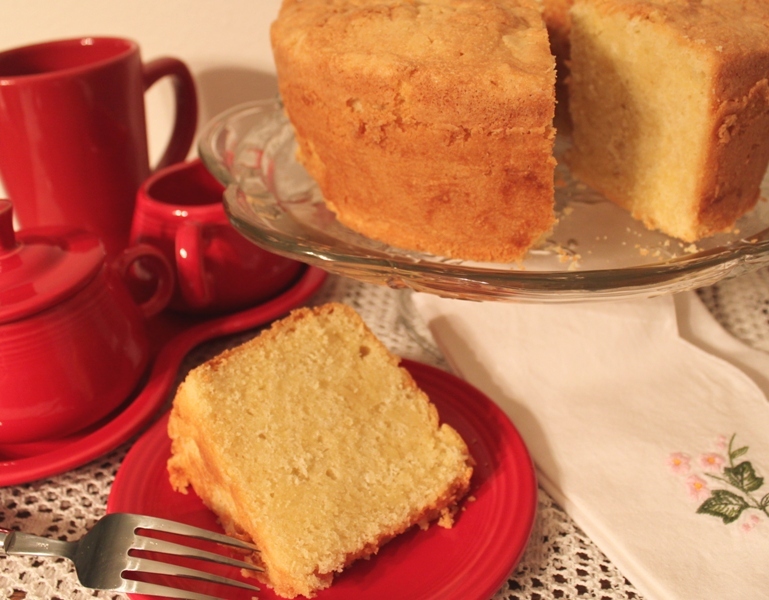 Pound Cake | Rosetta Bakes! This recipe was given to me from a friend and I was told it was a very old family recipe. It’s not a real sweet pound cake, but it’s still sweet. Men seem to really like this pound cake; I like it because it’s a great cake to top with any topping you like. Sliced thin, it’s even great toasted with a little butter! Combine butter and sugar and whip until light and fluffy. Add egg yolks (yellow only) one at a time to butter and sugar mixture, mix well. Mix salt with flour and slowly add to creamed mixture alternately with milk. Transfer mixture to a much larger bowl, you will be folding in the eggs whites and you need lots of room in the bowl. Whip egg white (room temp) until stiff peaks form. Make sure the bowl your whipping the egg whites in is very clean and free of any grease. Once egg whites are stiff, gently fold in to cake batter. Do not mix well, just fold gently until the egg whites are mixed in but you still want to see some of the egg whites throughout the cake. Put in a lightly greased and floured tube pan and bake at 300 for 1 hour and 25 minutes. (length of time depends on your oven. Check with a toothpick in center to see if it’s done. Serve along, or topped with fruit or icream of your choice.